Why Use Hydrolyzed Whey Protein? 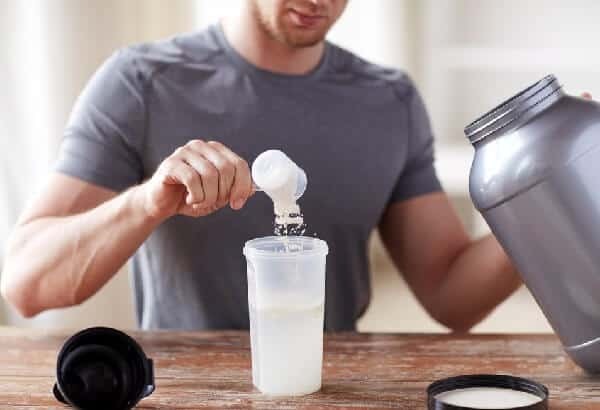 When you learn about how you can get hydrolyzed whey protein to supplement your diet and help you attain your fitness goal, you’re reminded of the fact that there are several types of protein out there. 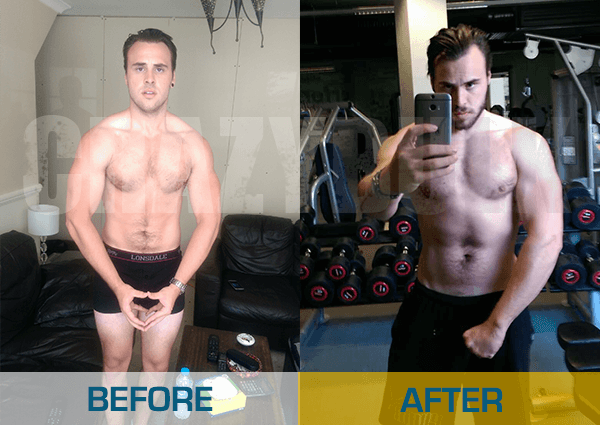 Health benefits for fitness & bodybuilding, Process & Top 5 best-selling brands you can today! Is whey protein that has been exposed to a special process involving enzymes, acid or heat. What the process does is to break down the protein partially. This makes the protein much faster to absorb by the body. For some instances, rapid absorption of protein is crucial. That’s especially true right after you work out, when your muscles really need protein to begin rebuilding. Whey protein is different from casein, as whey is usually fast-absorbing. But there are different types of whey protein that can alter the absorption rate. Your whey protein can be a concentrate, and this means that the powder can be made up of 80% protein. It’s truly packed, compared to beef with just 21 or so grams of protein per 85 grams of meat. If you have a Whey protein isolate, the percentage of the protein can be even greater. It can reach up to 92%, which can make the absorption rate faster. This also means you get fewer calories, and less fat, cholesterol and carbs in general. Together, concentrates and isolates make up the majority of whey protein products. But there’s another less common version called the hydrolysate. Hydrolysates or hydrolyzed whey protein products are different, but they may suit your needs. The hydrolysates have undergone a special process to make them even much easier to absorb. Because of its purity, it also tends to have fewer ingredients, so there’s no space for junk. Usually, you get low fat and low sugar content. So which of the three is your best bet? That depends on your preferences. Whey protein concentrates work very well enough, and they’re also the most affordable option. It’s why it’s generally considered the bestselling form of WP. However, you may have to endure extra grams of fat and carbs, and it’s got lactose. Whey protein isolates are even more packed with protein in terms of percentage, so there’s not much space for additional stuff. That’s good, because that means less fat, carbs, cholesterol, and lactose. Absorption of the protein is even faster. Isolates are the fastest when it comes to protein absorption, as the protein has already been partially broken down. Because of the process by which it’s made, it’s almost pure protein with zero or very low levels of everything else. The main problem with hydrolysates is that because of the hydro process, it becomes more expensive to make so its price is higher. However, in some cases the price hike is not too much, so it may be worth the money. Some say that the hydrolyzing process can also make the taste more bitter. That used to be a problem, but a lot of manufacturers have made great strides in their flavoring research and development. Bitterness is no longer a problem. Hydrolyzed whey protein is generally more expensive. So do you get your money’s worth? Check out the benefits you receive when your whey protein is hydrolyzed and already partially broken down. You can immediately feed protein to your muscles during times when your muscle is rebuilding. This generally means after a workout, and you get the protein with no delay. With meat or even with casein protein, protein absorption is much slower. You don’t want to eat lots of meat right before you work out, as this won’t allow you to perform at your best. The effect of the hydrolyzed whey protein on recovery is quite noticeable, as mentioned by many reviewers. You’re able to recover faster, so you can maintain your workout schedule better. This hormone helps with digestion and it affects the appetite. It increases the feeling of fullness, so with a hydrolysate you’ll feel fuller. The purity of the protein powder reduces the other components, such as fat, cholesterol, sodium, sugars, and carbs. The purity also means that non-essential ingredients are take out, and these ingredients can be things to which you’re allergic. Lactose is a prime example, as many lactose-intolerant users have no problems with many hydrolysates. You can take this as part of your breakfast, and it works for your workout too. You can consume a serving before your endurance training, such as if you’re running. Or you can take it after resistance training so your muscles can get the protein for rebuilding. You can choose among 7 flavors, with plenty of chocolate varieties. One of them is even called “turbo” chocolate, which does make you wonder about the flavor. Other flavors are “velocity” vanilla, red velvet cake, and “supercharged” strawberry. Optimum Nutrition claims that this is the most advanced whey protein they’ve made, and a quick look at its features tends to confirm it. It offers as much as 30g of protein per serving. Most other brands offer protein grams in the 20s. It also has a massive dose of BCAAs at 9 grams. You get 15.5 grams of added essential amino acids. Total fat and total sugars are just 1g each. Carb content is only 3g. Each serving is only 140 calories. This has calcium, iron, and potassium. It mixes very easily with just a spoon, though if you have a blender you may as well use that instead. It has very little lactose that many lactose-intolerant drinkers have had no problem with it. Of course, it’s a bit more expensive than the other ON whey protein products, but that’s true of hydrolyzed whey protein in general. It has additional manufacturing costs, but as a consumer you do enjoy more benefits. Go Straight to Dedicated Approved Order Page on AMAZON – Get it With Peace of Mind! Sascha Fitness is a Venezuelan brand, and it’s the brainchild of a famous International Sports Sciences Association-certified fitness trainer who has already authored 2 books. She has a Master’s in Nutrition Fitness, so she’s an actual expert. This Hydrolyzed Whey protein is an example of her expertise, as it offers a great option for whey protein. This is especially exceptional, as they hydrolyzed whey isolate that was 98% protein to begin with. The protein also comes from milk from cows that have been grass-fed. You get 25g of protein to for protein synthesis and muscle growth. It has large amounts of BCAAs and other essential amino acids to help you maintain your muscles and even make them larger. It also has calcium. The formula also contains digestive enzymes that help with your digestion. You can avoid gas and bloating issues that are prevalent with other protein powders. No more constipation and other digestive disorders. The flavor comes from cocoa, and it uses the natural sweetener Stevia. It doesn’t use artificial flavoring. It’s quite healthy, as it has low sodium content. It even has zero total fat and sugars. It’s free of lactose and gluten. This is available in 5 flavors. If you like the sweet flavored-milkshakes, this one’s for you. Take 2 servings a day for muscle development, and just 1 serving a day for weight loss. 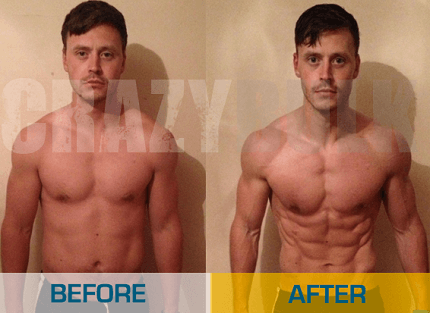 This is meant for all types of users, from athletes and muscle-builders to those who just want to lose body fat. The protein is designed to encourage muscle growth, boost strength, and help with muscle recovery. It’s filled with the nutrients that many athletes look for: 25g of protein, 5.5g of BCAAs, 11.8g of essential amino acids, and even 2.7g of leucine, which is the most powerful amino acid for boosting protein synthesis. It doesn’t have any ingredient that can be considered even remotely unhealthy. There are no hormones, GMOs, artificial sweeteners, gluten, added sugars, or soy. The protein comes from milk that comes from grass-fed, pasture-raised cows. This only has 120 calories, with just 1g of total carbs. It goes well with weight loss programs and low-carb diets. This is great for the lactose-intolerant as well, as the lactose level is virtually non-existent. This is fairly new, though nearly all the ones who have tried it have given it rave reviews. It’s not too sweet, and it can dissolve very quickly in a shaker bottle. However, do take note that there are only 2 flavors: Chocolate Ice Cream and Vanilla Cupcake. Now if you want more flavor options, you can start with this. It offers 12 amazing flavors, and the options include cinnamon bun, chocolate coconut, orange dreamsicle, and chocolate peanut butter among all the other more common flavors. This has 25g for your muscle development and growth fitness regime. You also get 5.5g of BCAAs for muscle memory and recovery. In particular, it has 2.7g of leucine per serving. You get zero total fat, very little sodium, and 1g total carbs. Its’ free of gluten and lactose as well. You also get potassium and calcium. You can use this with oatmeal for your breakfast, mix it with Greek yogurt for a snack, and in shakes after a workout. It has been certified free of any banned substances, so it’s ideal for athletes. Because of its nutrient content and pureness, plenty of athletes and trainers have chosen this as their protein supplement. It’s extremely safe, and it’s seriously effective. This is designed to let you recover much more effectively after a workout, and it also lets you train as hard as you can every time. Soreness in your muscles won’t be a problem for long with this. This comes in several interesting flavors, such as Loco Mocha and Belgian Chocolate, and Peanut Butter Smash. Plenty of people find their favorite flavors with Progenex Recovery. When you find that flavor, it feels like it was made just for your taste buds. Just about everyone says the taste of their fave flavor here is “amazing”. There’s also no gritty or chalky texture to endure. This is really smooth. Each serving is just 140 calories, with less than 5mg of cholesterol. You also get 23g of protein, which is a decent amount equivalent to an order lean ground beef. It also has iron and calcium. The total fat is just 1g. So if your problem when you work out in the middle of the day and you’re wiped out for the rest of the day, then this is your drink after the workout. It really will help with recovery, while you give your muscles the protein they need to be bigger. Where to Buy Online Today? You’ll be very lucky if you can find any of these hydrolyzed whey protein in your local health stores or groceries. Instead, you have to go online. While you may of course go to the official websites of each product, that’s not the most efficient approach. You’re better off if you go to an online retail store with low prices, plenty of reviews, dependable site security, and reliable delivery. Your usual online options should include the GNC, Walmart, and Costco websites. But your best bet is most likely Amazon.com. You’ll find plenty of reviews to read along with low prices. The delivery is reliable and your info is safe with the website. You have to understand that the hydrolyzed whey protein is still just a supplement. For those who wish to build muscle, you still need to pack your meals with lots of protein. So which natural food sources have the most protein? This has a lot of protein, which is why it’s often mixed with protein powder. A cup of milk will get you 8 grams of protein and 149 calories. You also get calcium, vitamin B2, and phosphorus. Plenty of seafood options offer lots of protein, and tuna is a prime example. It’s actually mostly protein with little fat and few calories. A 154g serving of canned tuna will provide just 179 calories, but a whopping 39g of proteins. Without the skin, the protein accounts for most of the calories. A single roasted chicken breast can give you 53 grams of protein with just 284 calories. While you can take the hydrolyzed whey protein as you breakfast on the go, you may want to take some eggs for breakfast with your shake. Whole eggs are high with protein, and the egg whites are almost pure protein. Each egg does offer 6 grams of protein with 78 calories, but then you also get healthy fats, vitamins, and minerals. Pair this with eggs, and you’re all set. On its own, a 226g cup of cottage cheese can give you 27g of protein with just 194 calories and 2% fat. You also get plenty of nutrients including vitamin B12 and calcium. It’s thick and creamy, and it’s yummy too. Get the non-fat version, and a single 6-ounce (170g) container gives you 17g of protein and just 100 calories. This is a popular option, as just about everyone who’s not a vegetarian likes the taste. A 3-ounce serving (85g) gives you 184 calories and a massive dose of 22g of protein. This is the go to snack of vegetarians who want protein. Each ounce of almonds provides 6g of protein, with just 161 calories. Other nuts you should try for protein include pistachio nuts and cashew nuts. Your mom had it right when she insisted that you finish your broccoli when you were growing up. It offers among the highest ratios of protein to calorie among veggies. Each cup has 3g of protein and just 31 calories. It’s also packed with fiber, potassium, and vitamins C and K.
Plenty of health-conscious folks have included quinoa in their diets, as it is full of antioxidants, fiber, vitamins, and minerals. It’s considered a superfood. As for protein, you get 8g per 185g cup of quinoa, with 22 calories. If you’re a vegetarian, you need lentils to make sure you don’t get a protein deficiency. Each cup offers 18g of protein with 230 calories. It is also loaded with a very long list of nutrients, including fiber, iron, and potassium.